i think if u are not in hurry to make home then u should wait for gulberg residencia to be livalbe,may take 3-5 years with all facilities availabel. develop plot is always preferable and u can switch to 10 marla plot latter on as well when later blocks are also fully reachabl through circular avenue. jinnah garden and sawan garden is livable right now with facilities like electricity ,water and gas but development wise these places are average so make a visit to these societies then decide. Guys i am interested in buying a 10 marla plot in any recently developed sectors kindly guide. I am living in Lahore so need your kind guidance and support in deciding and buying it. What is the current situation of A block? Ibechs is in a process of acquiring more land from the villagers and halted development work for cheap deals. If bridge is developed and functional then price of that land will definitely rise. In this game of lust and greed innocent plot holders who desperately want their home be constructed are suffering a lot. Pace of development is very slow in residencia. All machinary is working in Greens. It seems that gulberg administration is not serious to develop residencia soon. Work on Gulberg interchange at Islamabad has been started. And there is a good news. And there is a good news. A whatsapp group has been constituted for those who have interest in gulberg . live Discussion, latest pix, videos r available there. You can request 0331.5849138 to add u. @all . What is the current standing of KV avenue is this location among those which is under dispute or land is not yet acquired. Apart from that what are your views about its position in residencia. Situation in gulberg is not good. This are being delayed. Pace of development is dead slow. It will take 5-10 years for completion of development in residencia. Thanks Farhansa. 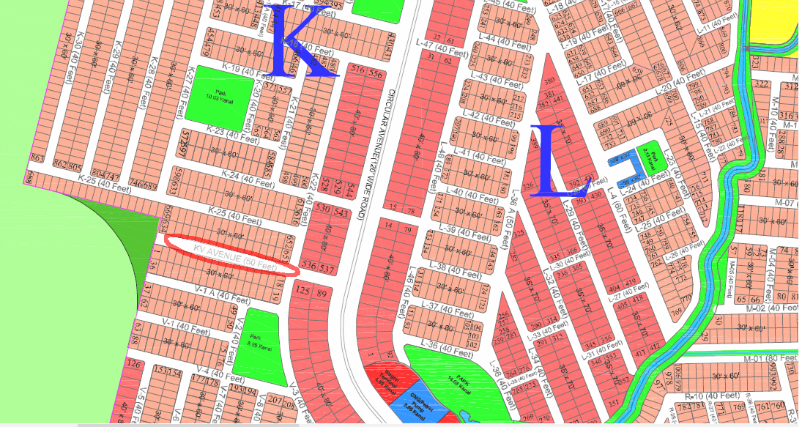 Are you referring to whole residencia or this KV Avenue and sections around it. Whole residencia will be liveable atleast till 5 yrs. I went through the complete thread and you seem to have enough knowledge about different Blocks. Can you please tell me details of Block-R ? How is the location? What about Possession ? I am looking for a 10 marla plot in Gulberg Residential just for investment purposes. . My budget is 30-35 Lac, i have visited few dealers but every dealers tells about different blocks. Please guide me which block is good. Majority of dealers suggests O block. Any body having uptodate pics or development status of P block of gulberg residencia? Any suggestions on V block I have been offered a 7 Marla plot in 23.5 lakhs, is this a reasonable price for V block? For Investment in Islamabad, 3 societies are considered best in current situation. You can add Zone 2 sectors operated by established housing schemes to the list also. For more suggestions, you can contact Manahil Estate at 0345-5222253. Sent you a PM, check your inbox. Am willing to sale my 10 marla Corner plot adacent to 120 ft road in P-block.. As I am planing to move into G16. Interested buyer can contact me on following numbers. What is the report of G16. Which sub sector is good there? The sub sector 1 and 2 are very cheap. It will be a jackpot if they come alive. Any idea of the timeline for potential investment. Is there any forecast date when the society wants to develop it?